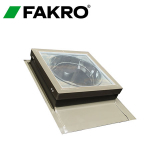 Transform your home into a light, bright haven with Fakro’s range of light tunnels designed to encourage more natural daylight in darker rooms. Compatible for use on a slate, tile or shingle roof, these flexible light-transmitting tubes come in a range of styles and the diameter pipe is available in a variety of sizes to suit your specification. 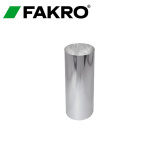 Do you need to talk about your project to ensure you have the best FAKRO light tunnels before placing your order? Feel free to call our friendly team on 01752 692760, they’ll happily help.